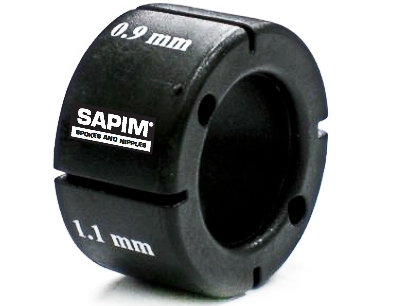 Our prices adhere to Sapim's minimum advertised price policy. They are the lowest permitted advertised price. We will, however, match any advertised price you can find anywhere online. Simply click on the Price Match button below or call us at 919-626-2471. This tool is specially designed to hold CX-Ray spokes in place while tensioning. .9mm, 1.1mm, 1.3mm, and 1.5mm slots.